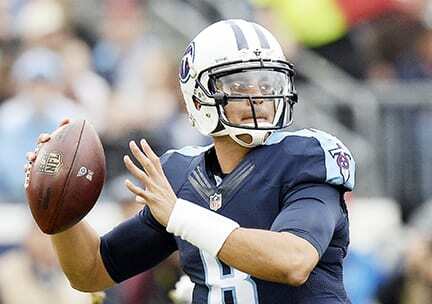 If the Tennessee Titans are going to snap their long playoff drought they will need a big season from starting QB Marcus Mariota, starting with Sunday’s opener against the Oakland Raiders. The preseason is supposed to be a time for teams to hone and prepare for the regular season, so the results are usually discounted, no matter the record. That’s why the Tennessee Titans, the consensus pick to end a long playoff drought and win the AFC South title in 2017, are dismissing the ugly preseason that ended last Thursday with an awful 30-6 loss in Kansas City. The Titans ended the preseason with a 1-3 mark, and two games where they scored fewer than 10 points. Since they held the regulars out of the final contest, it’s hard to take the Kansas City game seriously, but there were still some things that had to be disturbing for Titans’ fans about the just completed preseason. With the Titans set to open against the Oakland Raiders Sunday, the first question concerns whether Marcus Mariota is back and 100 percent healthy. He says he is and so does head coach Mike Mularkey. He played so sporadically in three preseason games no one really knows, but if the Titans truly hope to break their playoff slump, he has to be at maximum effectiveness. The team’s passing offense was also inconsistent, and as a result the Titans used high draft choices on two receivers. Both of them, Corey Davis and Taywan Taylor, made the final roster as well as last year’s best receiver Rishard Matthews. New acquisition Eric Decker also made the team, with the surprise survivor being Harry Douglas. (Titans later flipped these receivers, with Douglas becoming the one left off the active roster). Last year’s starter Tajae Sharp will be out all season with an injury, while veteran Eric Weems was also a casualty, though as a vested veteran with a two-year deal, he can be brought back on a lower salary later. Defensively, the biggest change will be the presence of another top draft choice Adoree Jackson. He’s not onlg going to start at cornerback, but inherit the punt and kick returning jobs as well. Lots of responsibility for a first-year player, but the Titans feel he’s up to it. They are also looking for repeat big performances from newly extended defensive lineman Jurrell Casey, as well as a linebacking corps that was among the better ones in the NFL last season. They also expect the offensive line to live up to preseason praise that calls them the best in the league. Now the preliminaries are over, and the games count.